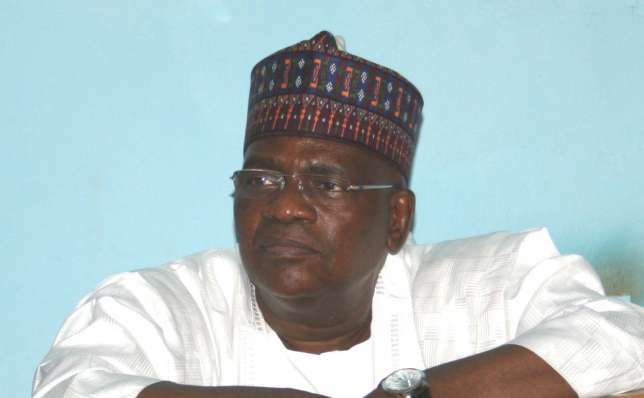 A former governor of Gombe State, Danjuma Goje, illegally awarded a N1bn contract for the supply of dictionaries to secondary schools while he was governor of the state, according to the EFCC. A prosecution witness, Salisu Abaji, said this before a Federal High Court in Jos where Goje is being tried for alleged fraud, the spokesman for the EFCC, Mr. Wilson Uwujaren, said in a statement. According to the witness, the ex-governor awarded a contract for the supply of dictionaries for over N1bn to Gombe State Universal Basic Education Board without following procurement process. Furthermore, he was alleged to have paid 85 per cent of the contract sum upfront to the supplier, Real and Integrated Hospitality Company, as against the prescribed 15 per cent as contained in the UBEB guideline when he was the governor. The prosecution witness, who is a former Secretary to UBEB, gave this testimony against his former boss. He further submitted that one Aliyu el-Naffty, a former UBEB chairman, also an accused person standing trial along with Goje, awarded the contract the same day and ordered the advance payment based on the directive of the ex-governor. Another prosecution witness and a former storekeeper at the Gombe State Government House, Mr. Mohammed Aliyu, concluded his testimony by tendering receipts of all payments made to the food contractor to the government during the eight-year administration of Goje from 2003 and 2011. Abaji, however, admitted that he played a role in the award and payment of the said amount as upfront to the contractor. This, he did, under cross-examination by the defence counsel, Mr. Adeniyi Akintola. The trial has been adjourned till October 4 and 5, 2016 by Justice Quadri.